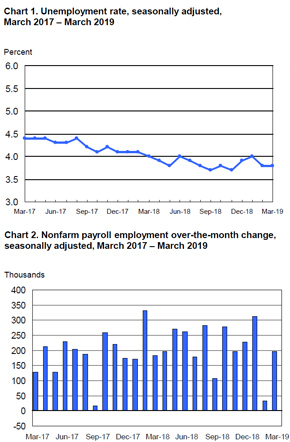 After a wild divergence in U.S. job growth during the first two months of 2019 – more than 300,000 in January and a mere 20,000 in February – March seemed much more in line with America’s average pace of labor-force expansion. According to the latest edition of the Employment Situation Survey issued by the Labor Department’s Bureau of Labor Statistics, nonfarm payroll organizations in the U.S. across all industries added 196,000 jobs in March. This figure reasonably outperformed the expectations of economists surveyed by Bloomberg, who had expected the addition of 177,000 jobs. Meanwhile, the country’s unemployment rate held steady at 3.8 percent, in line with previous months during this latest period of American expansion. Bloomberg stated that a number like this could be a solid indicator of what economic experts around the world have debated for at least the past year – namely, just how sustainable the pace of U.S. job growth really is. 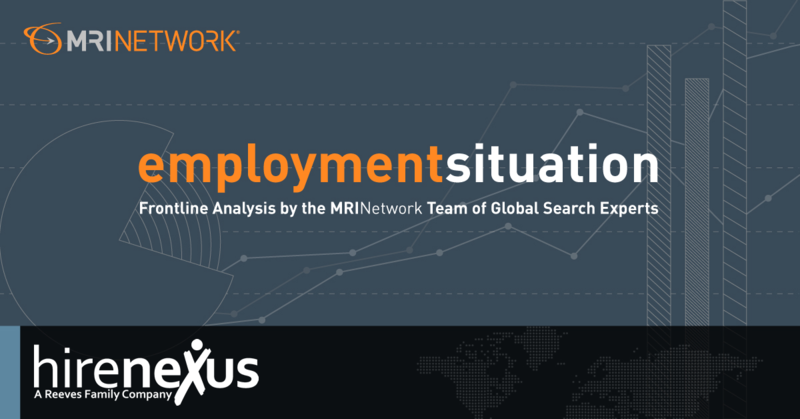 According to the financial news provider, job gains throughout the near future will likely be more in line with March’s number than with the massive swells seen numerous times during 2018 (multiple instances of 250,000 or more jobs added), but still strong enough to help fuel broader economic growth. The healthcare industry greatly outpaced all other American sectors in terms of roles created during March, with 49,000 new jobs coming onto the payrolls of hospital systems, ambulatory healthcare services and other organizations in the field. Professional and business services came in second with a total of 34,000 new positions, while food service and drinking establishments added 27,000 jobs. Computer systems design and services, a sector that has seen little major expansion or contraction during these past years of American growth, saw a notable uptick of 12,000 jobs. On the other end of the spectrum, construction added 16,000 jobs this month – not nearly enough to recover from its loss of more than 30,000 workers during February. Additionally, while BLS considered both the manufacturing sector’s loss of 6,000 jobs in March and its gain of 1,000 roles in February as equivalent to having “changed little,” some may find these figures worth noting due to the major role that manufacturing’s growth played in America’s economic expansion over the past two years. Any major positive or negative fluctuations in the months to come will likely draw considerable attention. Average hourly earnings grew 3.2 percent year-over-year in March, slightly below the market’s expectations and also down from February’s gain of 3.4 percent. However, the overall strength of the labor market should still fuel healthy consumer spending and keep inflation low. The latter is undoubtedly unfavorable to some, but directly in line with the goals of the Federal Reserve, which seeks to monitor the efficacy and substance of American economic strength in the midst of trade tensions and difficulties in numerous global markets. Subadra Rajappa, head of U.S. rates strategy at Societe Generale SA, elaborated on this during a live interview with Bloomberg Television. Rajappa and many economists in similar positions (both domestically and around the globe) expect the Fed to reduce federal benchmark interest rates in the near future, moderating the rapid pace of rate hikes seen during 2018. Global trade tensions are considered a likely cause of this. In fact, the relationship between the U.S. under President Donald Trump and various major economies continues to represent the biggest potential hurdle for the American market, which is otherwise strong, in the coming months. After threatening to close the country’s border with Mexico in late March due to his concerns about illegal drugs and immigration, Trump changed his mind April 4, according to The Washington Post: Instead, he said he’d impose major economic sanctions on the U.S.’s third-largest trading partner in exactly one year if the Mexican government doesn’t address border-security issues to his satisfaction. The president’s intensity regarding these matters has created bipartisan concern about a border closing or restriction’s effects on trade. On the other hand, the South China Morning Post reported that negotiations between China and the U.S. to end their trade war are improving. President Trump met Vice-Premier Liu He, China’s leading trade negotiator, at the White House April 4 and said a deal that relaxed tariffs on both sides could be finalized within the next four weeks.